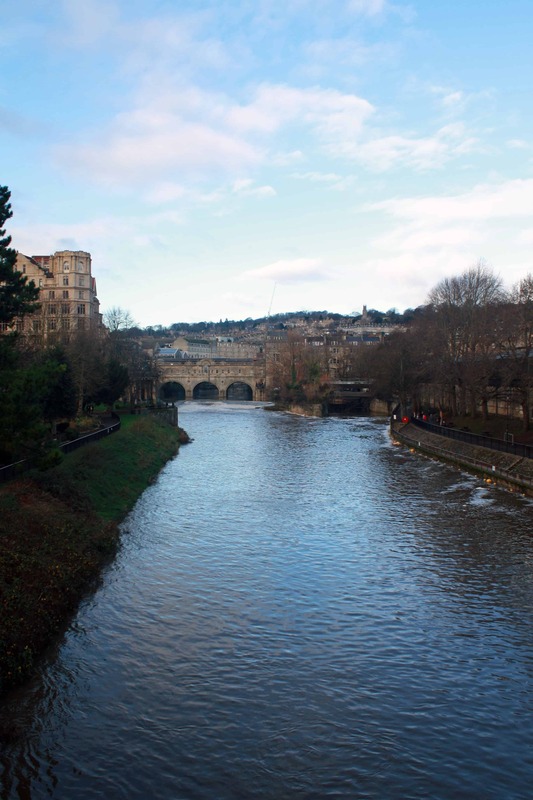 Back in the mid 17th century, Bath gained sudden nationwide recognition among the aristocracy of the time after Thomas Guidott published the first book about the city. The volume explored the therapeutic and healing properties of the hot springs and thermal baths, whose significance dates way back to Roman times. 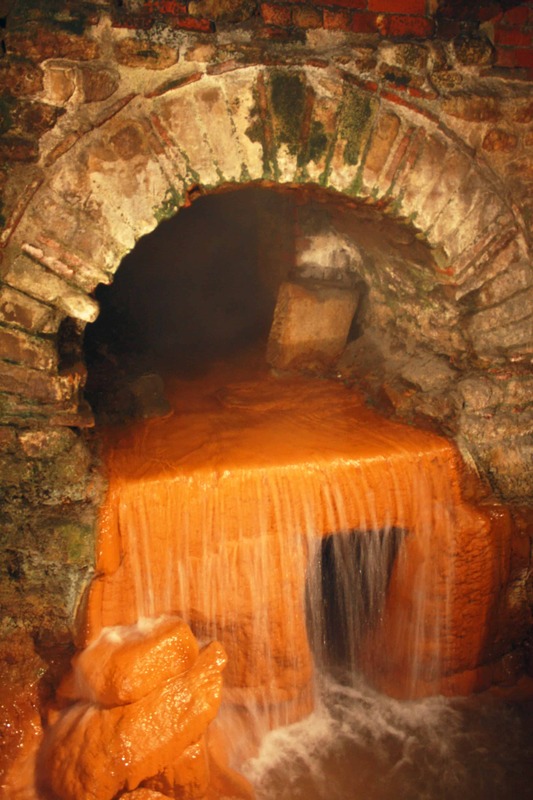 In the AD 60s, the Romans founded the city of Aquae Sulis around the natural thermal springs and the city quickly began to be known as a spa town. 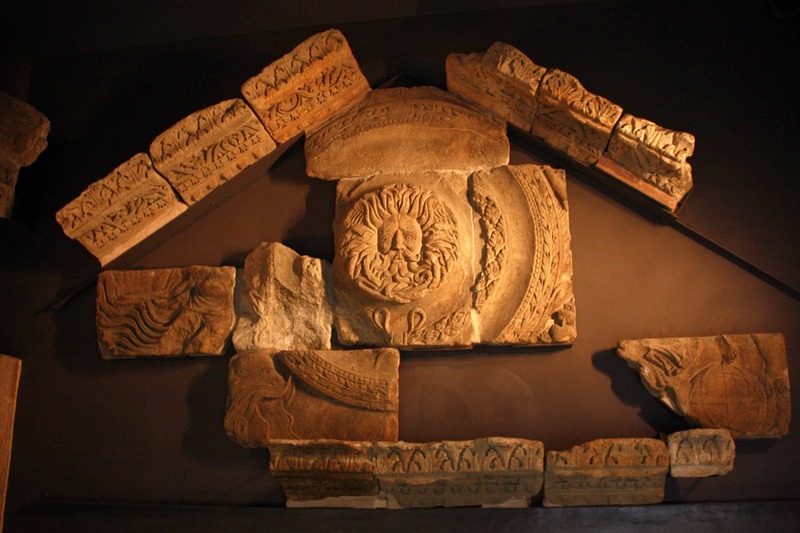 The Temple of Sulis Minerva rose not only as an important spa complex, but also as a religious temple dedicated to the Celtic and Roman goddesses Sulis and Minerva, respectively. However, it seems that it wasn’t the Romans who first discovered the therapeutic properties of the hot springs. In fact, Welsh manuscripts of the Brut Tysilio record the heroic King Bladud (father of King Lear) as the founder of the city of Bath. Legend says he was cured of leprosy after noticing the pigs of the area didn’t suffer from skin diseases and wallowed in the hot springs mud himself. Can you believe? Legend or not, it was the Romans who took the most advantage of the spring waters of the area. The original spa complex featured worship areas, large natural pools known as natatio, a caldarium (hot bath), a tepidarium (warm bath), a frigidarium (cold bath) and an area reserved exclusively as an apodyterium (changing rooms). Despite their grandeur, the Roman Baths remained buried until their discovery in the 18th century. With exceptional archaeological restoration, the remains of the Roman Baths provides a true reflection of how the spa complex looked more than two thousand years ago. 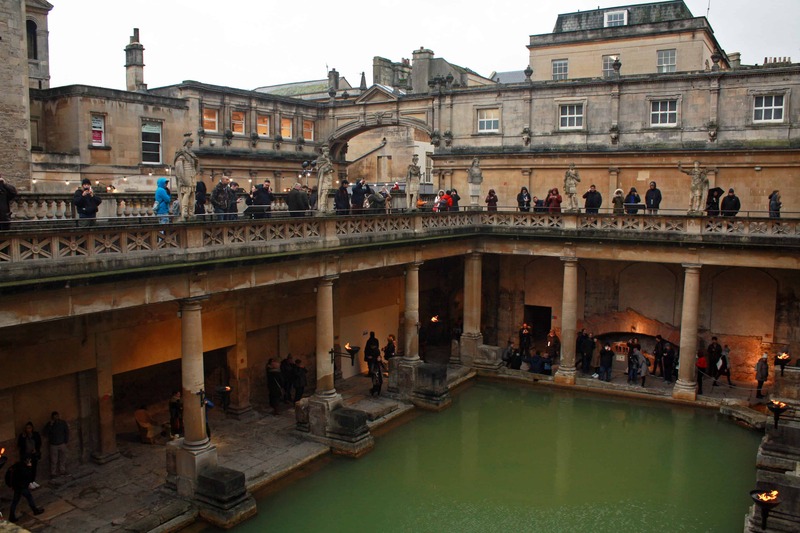 An interactive audioguide helps you explore the rich history of the baths through four main areas – the Sacred Spring, the Roman Temple, the Roman Bath House and an exhibition on the lower level. Here you can see the parts of the original pediment of the temple, artefacts, more than 30,000 silvers coins discovered on the site and even the gilt bronze head of Sulis Minerva. I promise you, it’s an experience that won’t disappoint. 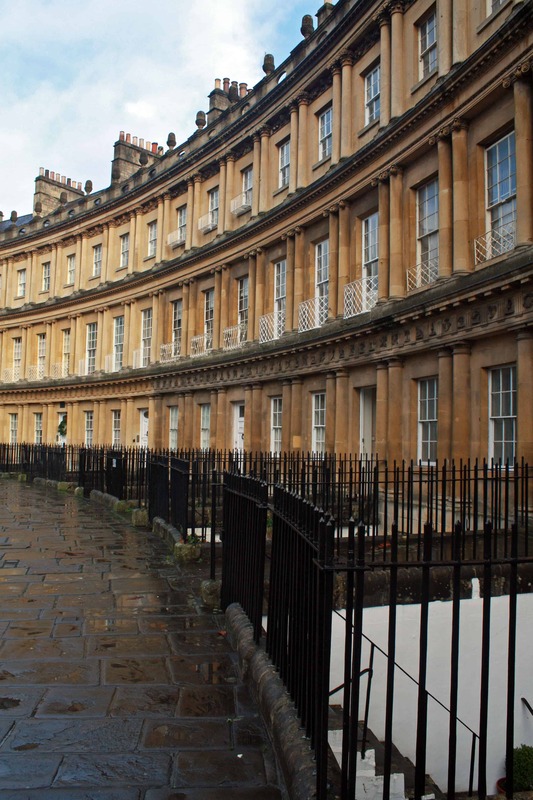 Characterised by its elliptical curved façade, this 150m long row of 30 terraced houses is perhaps Bath’s most iconic landmark. Designed by John Wood, the Younger and built in 1774, the Royal Crescent is one of the most outstanding works of Georgian architecture in the UK and currently holds a Grade I listed status. The design follows a characteristic illusion of rus in urbe. 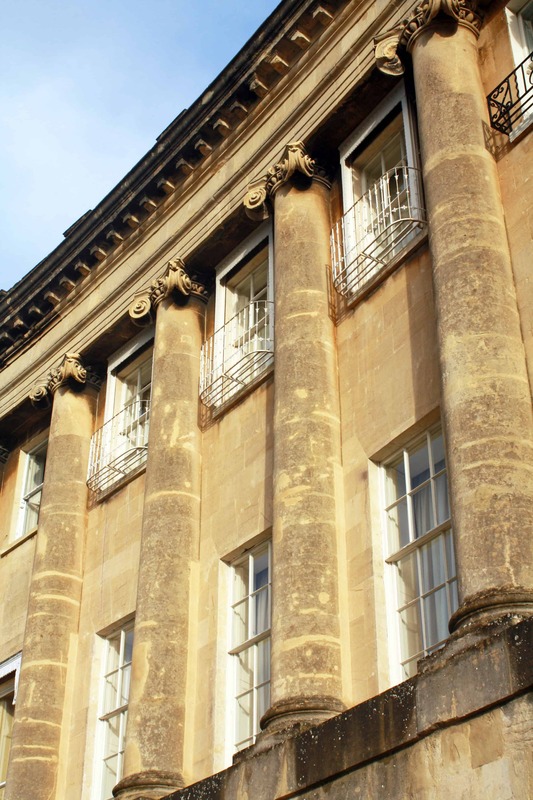 The popularity of the thermal baths resulted in an increase of the high class – Jane Austen even moved here in the peak of the Bath craze extravaganza! 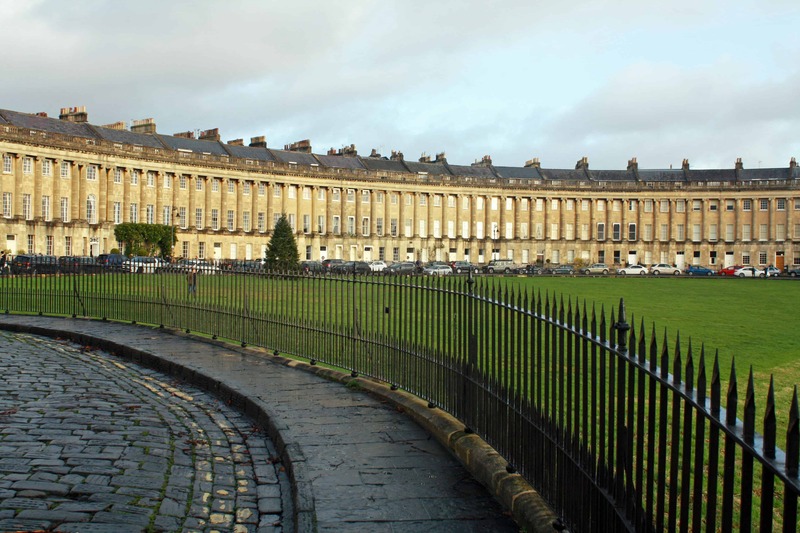 Ultimately, the Royal Crescent was designed to give the wealthy a sense of a rustic, country style residential complex in the city. The dwellings overlook a spacious park, with a part specifically made private for the residents. 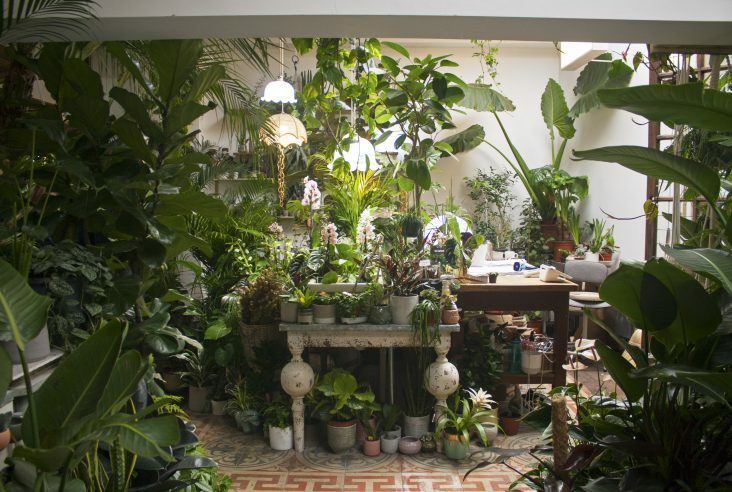 Over the years, some of the homes have been divided into apartments to accommodate a higher number of residents. A luxury 5-star hotel of the same name stands at Number 16, while a museum furnished in a late 18th century décor occupies the most privileged places of all – Number 1 (No. 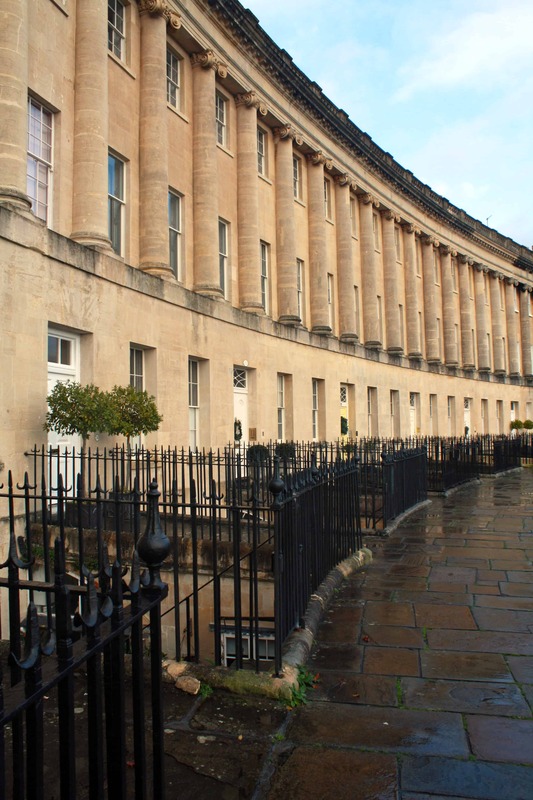 1 Royal Crescent). The beauty of the area makes it particularly difficult to avoid peaking into the living rooms hiding behind the big windows and even bigger curtains. 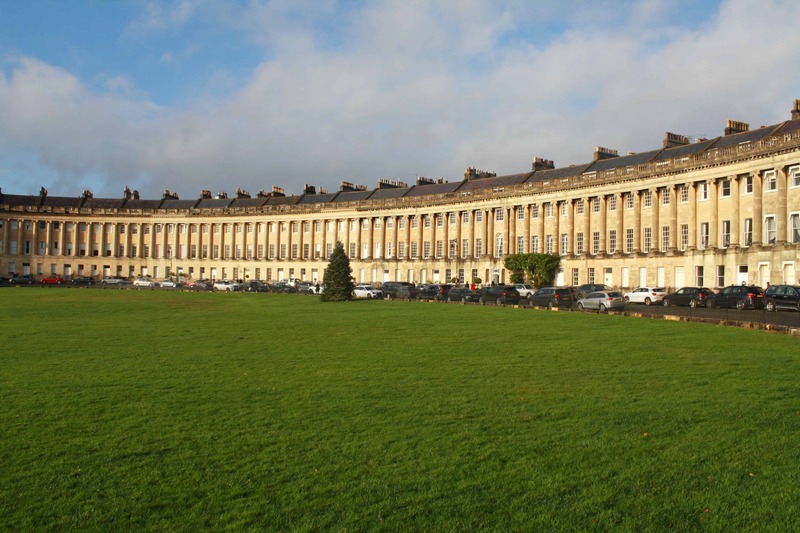 The Circus is known for its circular shape, very similar to the Royal Crescent. 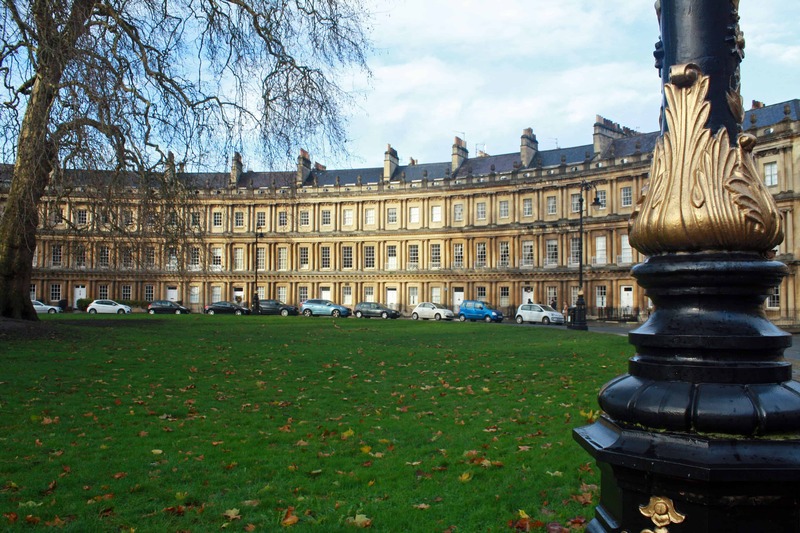 Originally named King’s Circus, it’s one of the finest examples of Palladian architecture in the UK that John Wood, the Elder wanted to recreate in Bath. Inspired by Stonehenge’s circular shape, the elegant curved façades surround a large round square with trees in the middle. Although initially designed by the above-mentioned architect, the building process was completed in 1768 by his son John Wood, the Younger after he passed away shortly after the project stated in 1754. Some of the dwellings were destroyed during the Bath Blitz air raids of WWII, but these were later restored to achieve the original design. Unsurprisingly, a neoclassical masterpiece of this magnitude has been home to a number of renowned personalities, including Admiral Sir Richard Bickerton and painter Thomas Gainsborough, the widely admired British portrait artist of the late 18th century. 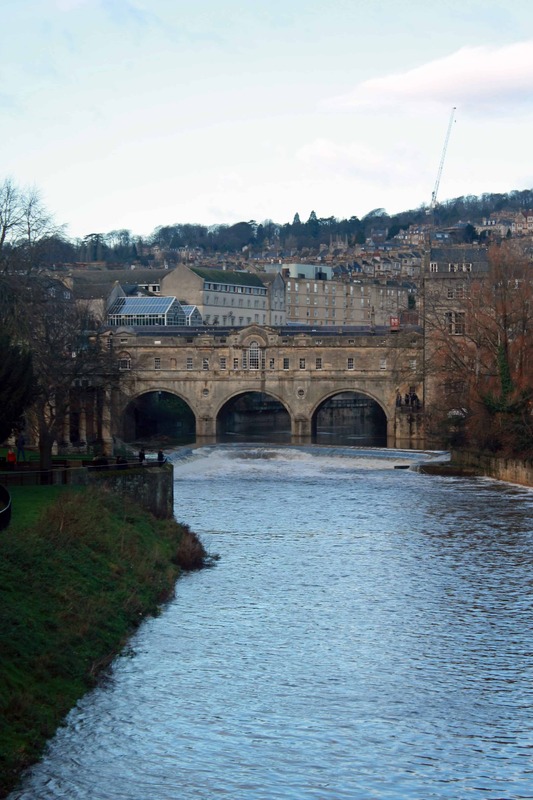 The Palladian architecture of the city is also reflected on the bridges over the River Avon, particularly on Pulteney Bridge. Designed by Scottish architect Robert Adam by order of politician William Putney in the second half of the 18th century, it’s considered one of the most beautiful bridges in the world and enjoys a Grade I listed status. Pulteney Bridge is definitely one of a kind. It features a variety of shops on both sides and along its entire length, making it one of the few inhabited bridges in the world alongside Ponte Vecchio (Florence), Ponte Rialto (Venice) and Krämerbrücke (Germany). Why not enjoy pleasant walk through the bridge, wander around the many cafés and flower shops and listen to the sound of the water of the River Avon flowing over the weir? I know I am in! 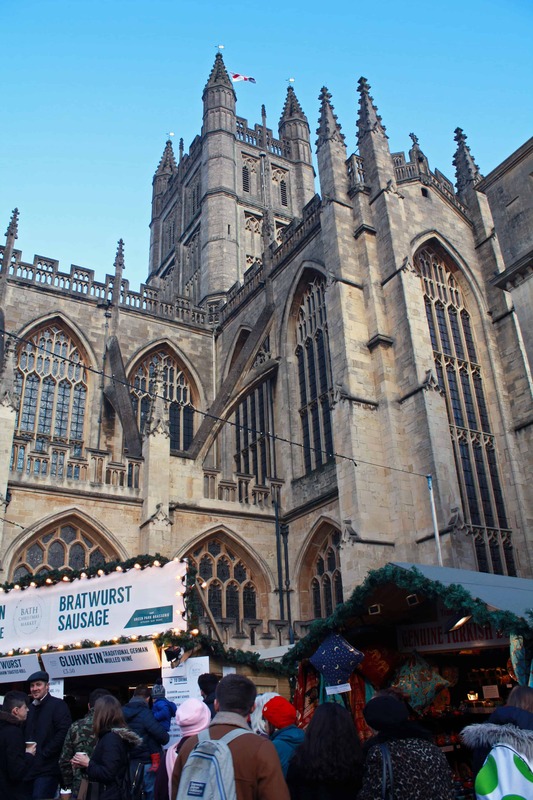 Alongside the Roman Baths, Bath Abbey is the second most recognisable and important landmarks in the city. Dating back to 1499, this Perpendicular Gothic building is the third church built on the site since 757 AD and replaced the ruins of the former Norman cathedral. However, the church was left unfinished after King Henry VIII ordered the dissolution of the monasteries in 1539 and it wasn’t until 1611 that it was finally completed. 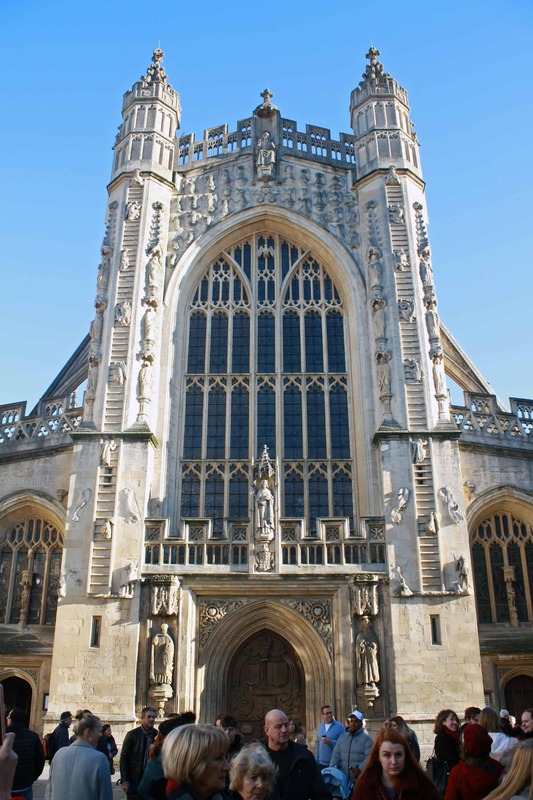 If you’re impressed by its magnificent façade and flying buttresses, the inside of the Bath Abbey will have you in awe. With a 49 metre reaching tower and an impressive stone fan ceiling which reminds me of the ceiling in King’s College in Cambridge, the interior of the Abbey, and most notably the original wooden ceiling, was completely transformed in keeping with Victorian Gothic architecture between 1864 and 1874. The beautiful stained glass windows depict moments of British history, such as the coronation of King Edgar, the first King of England, at the church on this site in 973. 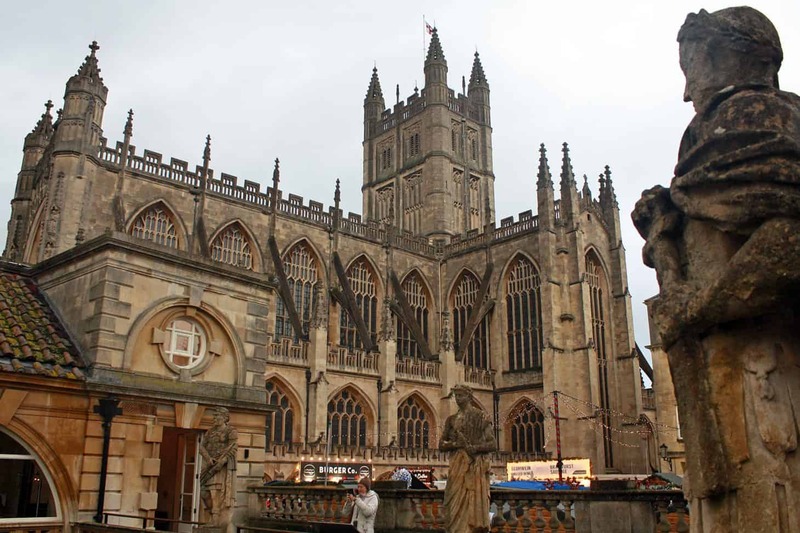 If you are not afraid of heights, the Bath Abbey Tower Tours offer the chance to see the Abbey and Bath from a very different perspective in a 45-50 minute guided tour. Climb 212 steps to the top of the tower for the best views of Bath (don’t worry, there are places to stop on the way!). 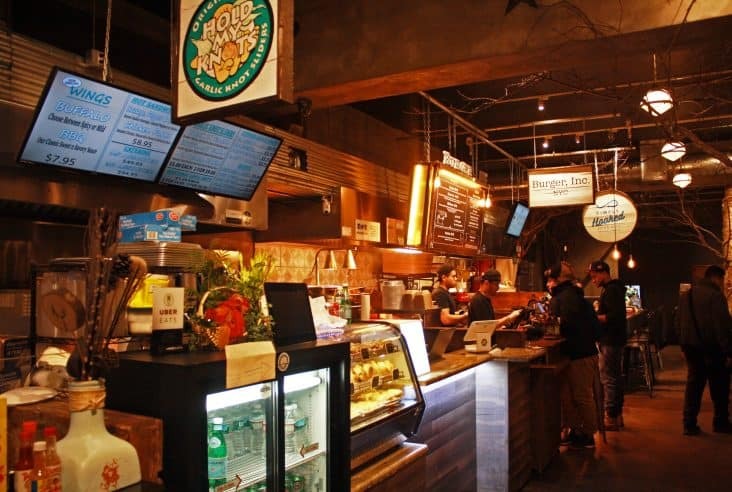 Good Day Café – If you’re in the mood for some delicious, fresh food with pink Miami vibes, Good Day Café is the place to go. 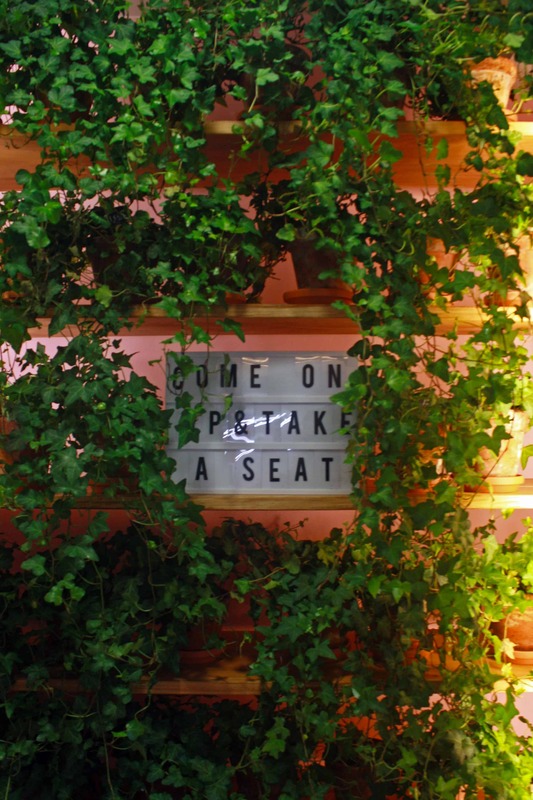 You’ll love the healthy brunch options, amazing hot chocolates with giant marshmallows (perfect when it’s chilly outside) and fun neon light strips, velvet chairs and succulents dotted everywhere. 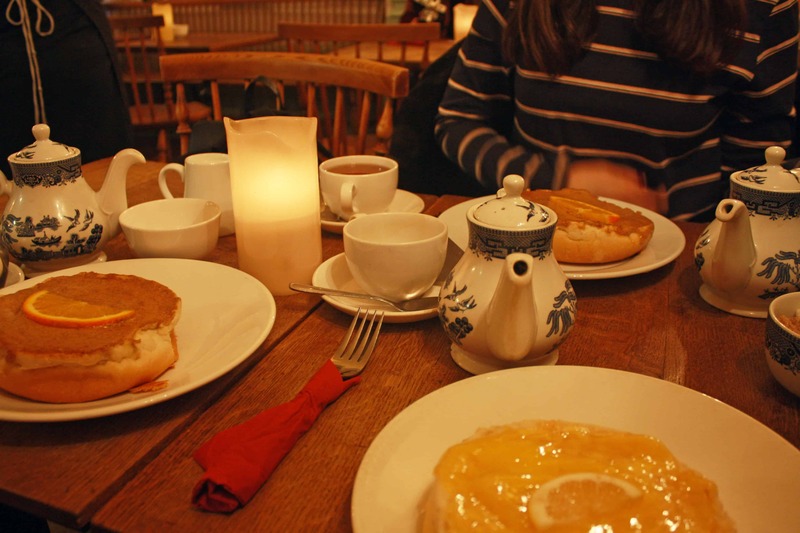 Sally Lunn’s House – Home to the Sally Lunn Bun, the self-proclaimed original Bath Bun. This is also the oldest house in Bath, dating back to 1482 and is now designated a Grade II listed building with a museum on its lower level. 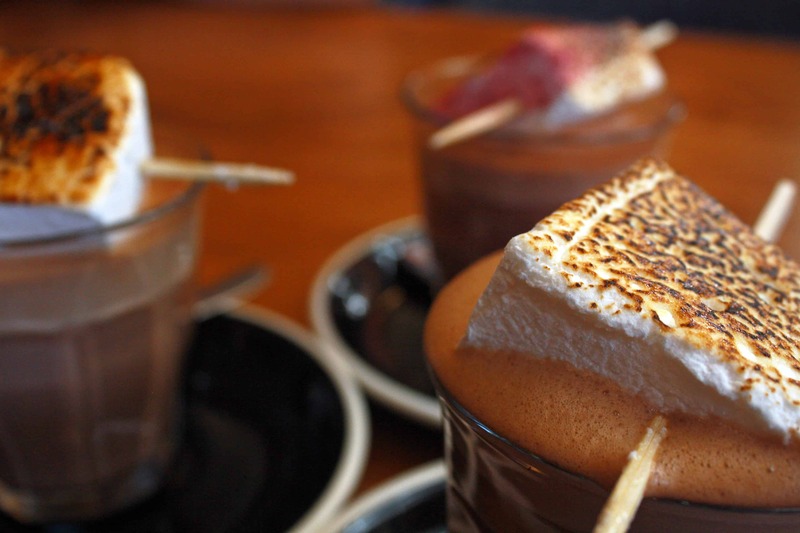 The original secret recipe was passed down with the deeds to the house and is still used today. The Bath Bun is so big that it’s served in halves and, although they’re light, half a Sally Lunn Bun is actually enough! Thermae Bath Spa – A contemporary spa where both residents and tourists can enjoy the natural hot springs like it was during Roman times. I’d highly recommend this to anyone looking for some serious relaxed spa treatment. Make sure you visit the open-air hot pool on the roof too to enjoy a unique view of Bath. Jane Austen Centre – A permanent exhibition on the great English author’s time in Bath and how the city influenced her and her writing. Comins Tea House – Decorated with china teapots, teas from all over the world and delicious cakes, this quirky tearoom gives you the opportunity to not only enjoy a good cuppa, but also experience the intricate process of how the different variety of teas are made – all by yourself with the appropriate teapot and a timer! And, if you’re into some serious tea learning, why not try their tea school courses? 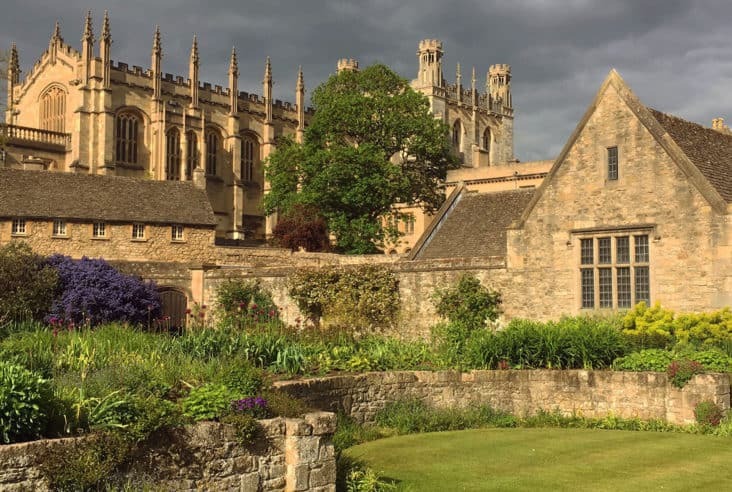 I went to university in Bath and seeing this post makes me miss it so much! I used to walk by the Royal Crescent and have a little nose through the windows, the rooms are amazing! You’ve done loads of research, there was so much stuff I didn’t know even after living there for three years. I’ve always wanted to go to Bath! I keep on seeing Bath everywhere on social media. It just started popping up at some point last year and now I keep seeing it. It looks really wonderful and I hope I will get to visit it soon. Thank you so much for sharing this. I’ve been there once 2 years ago and absolutely loved it!!! Your pictures are amazing by the way, you really capture the beauty of Bath. Literally had me. Reminiscing about my time backpacking through the UK 😍😍 GOSH, I want to go back! 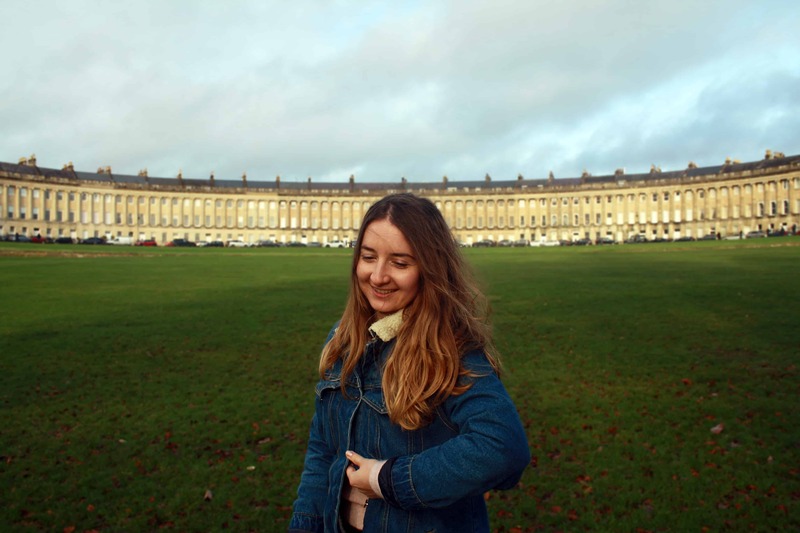 I really want to travel to bath, definitely on my top things to do this year! You need to go, it’s even prettier in person! Great post and some great images. I have not been go Bath in ages might have to take a road trip soon. 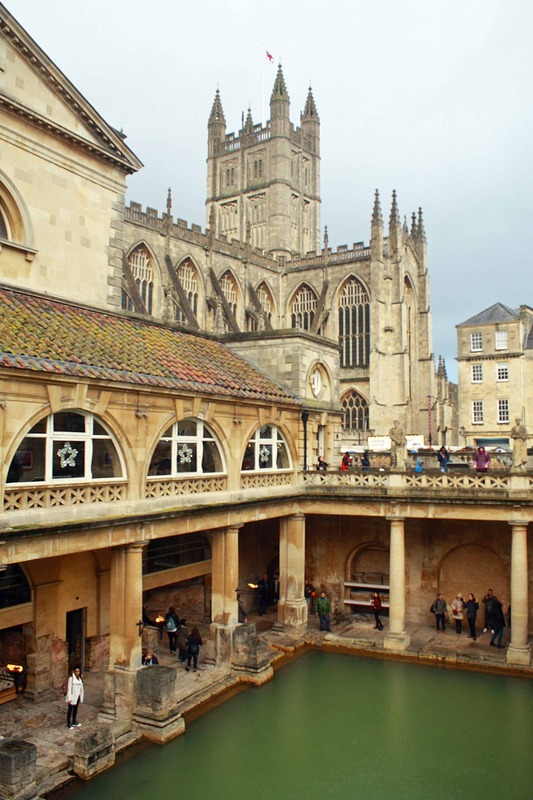 As a Classics & Archaeology MA student, I can’t believe I haven’t visited Bath yet! 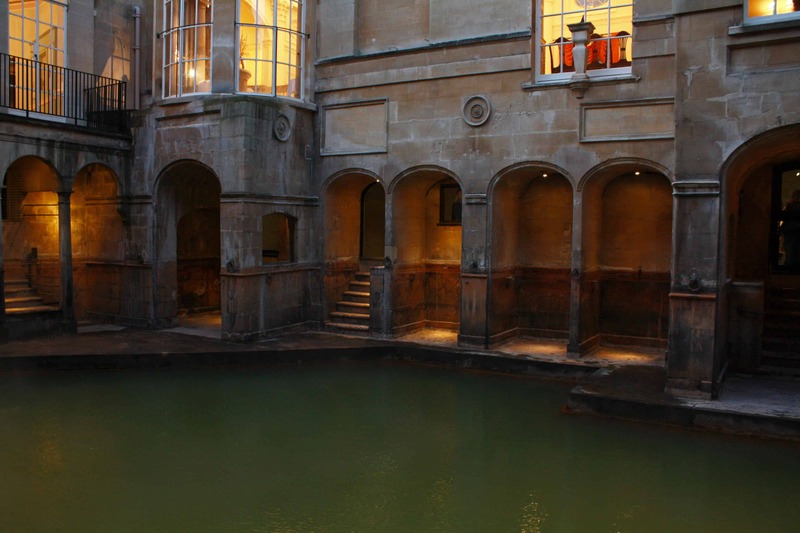 I definitely need to go this year, I want to see the Roman Baths so much! Bath is a place I would love to visit. It just looks beautiful! Your photos really howcase the place, and makes me want to visit even more! 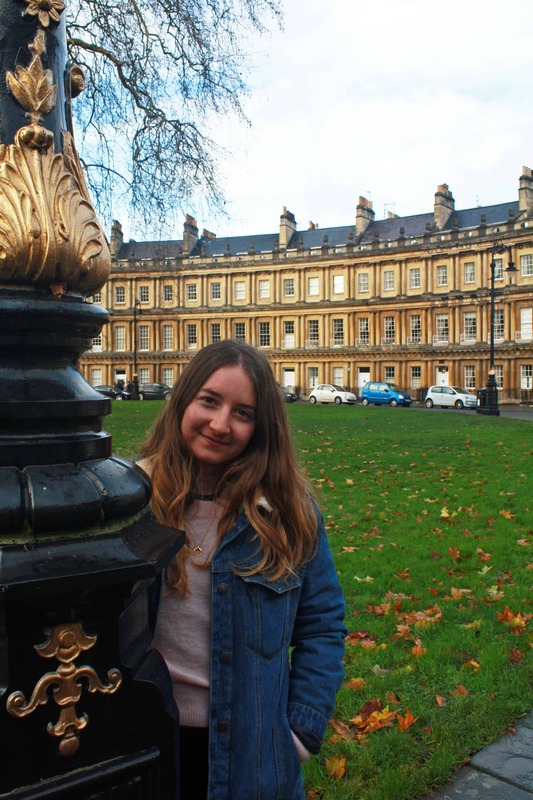 I don’t know much about Bath, but the architecture alone seems like a great reason to visit! I love Bath. I spent a year at University there while I was doing my teacher training. If you live in the city, you get into the Roman Baths free. I’d definitely recommend the Thermae Spa as well, I’m dying to go back there. I’ve never been to Bath but it looks so beautiful and full of history. I would love to travel there someday!